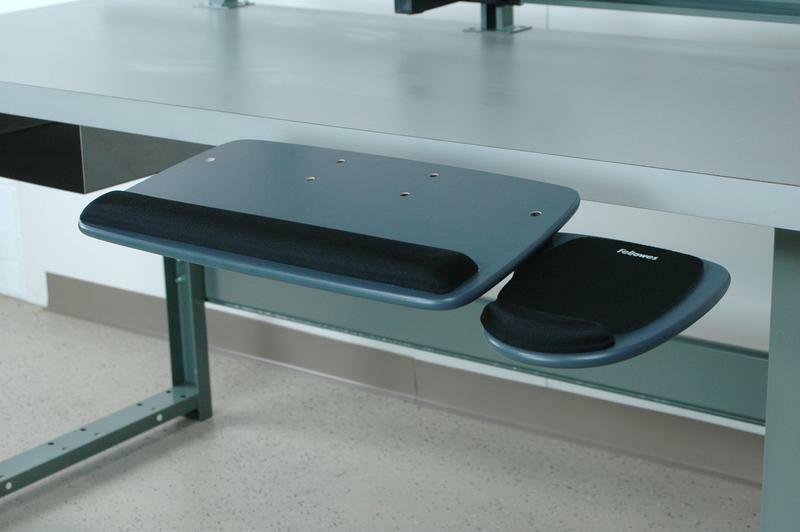 This ergonomic keyboard tray will attach to the bottom of any of the worksurfaces we offer. This unit will slide in and out along with swivel left and right at any time. 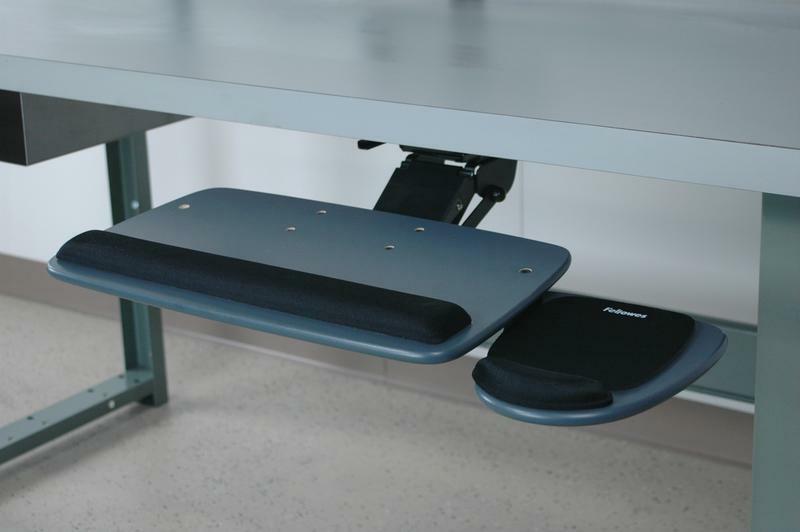 The keyboard tray will also lift up (once fully extended) to offer added ergonomics for any multi-user application. 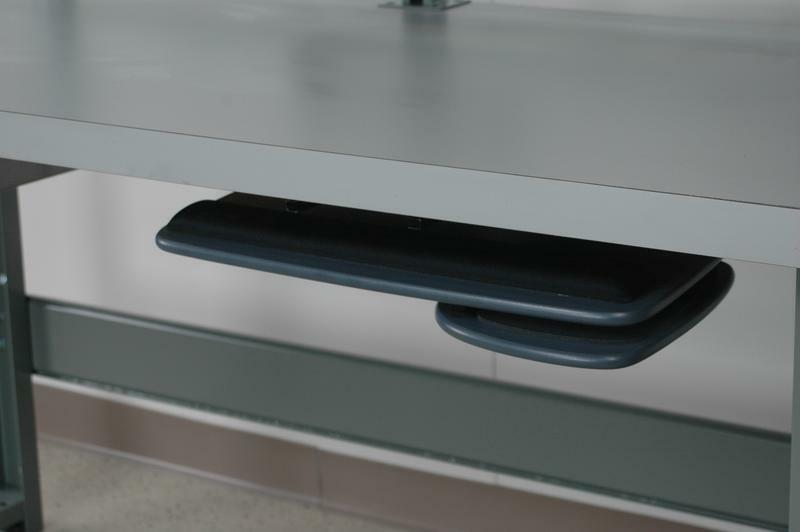 The mouse tray is located under the keyboard tray and will swing out when needed.